There are two classes of enzymes, DNA topoisomerases and site-specific recombinases, which change DNA topology. Many details of the enzyme action remain unknown, and therefore different models of the reactions require critical testing. A great help in such testing comes from computer simulation. The computational approach, described in the review, allows simulating the distribution of the reaction products for a chosen model of the enzyme action. Comparing the simulated distribution with corresponding experimental data serves as a model test. 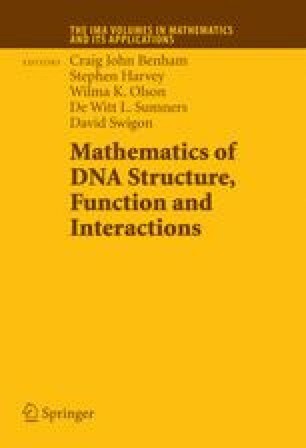 The major principles and assumptions of the approach, which is based on the simulation of an equilibrium set of DNA conformations, are discussed. The general consideration is illustrated by two specific examples, models of type II DNA topoisomerases and tyrosine family of site-specific recombination. The author thanks the late Nick Cozzarelli for many stimulating discussions of topoisomerases and site-specific recombinases.